Losing a pet can be one of the most traumatizing experiences of someone’s life. 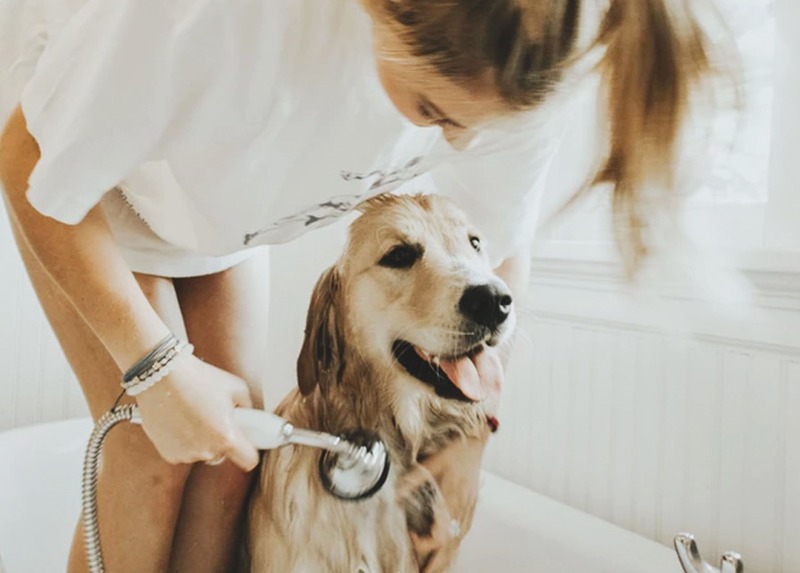 With many millennials waiting to have children until a later age, our furry friends often become family — and they are certainly beloved four-legged family members no matter your status in love or life. And the passing and subsequent bereavement of a treasured pet can have emotional and financial effects that can drastically change your life. I recently lost my first dog, Lacey, and wish I had understood how to better prepare for her passing, as well as what to expect with a senior dog. I adopted Lacey when she was 3 or 4 years old from an Orlando-based rescue group called Rescuing Animals in Need (RAIN). Lacey had a hard time getting adopted, spending two years in a foster home due to her heartworm treatment and dog aggression. She stole my heart right away, and we lived together for the next seven years, eventually moving to New York City, hiking every trail we could, introducing a cat and a husband to our home, and finally, two weeks before my 30th birthday, we said goodbye with one last good-natured lick. I am still coping with the loss of my best friend, and am coming to terms with some financial and emotional issues that I wish I had prepared for, had I realized our time together was coming to an end. 1. Pet Insurance: By the time I realized pet insurance was an option, I felt it was too expensive for us to afford. Most pet insurance companies base your monthly premium on the age of the dog — costing more money the older the animal is, considering many issues as “pre-existing.” Knowing the potential cost of a senior dog, I do wish I had taken this step more seriously right when I got my dog. 2. Pet Emergency Fund: My husband and I have a small emergency fund for ourselves, but when the time came, I actually took the expenses for euthanizing Lacey (and the previous testing to determine if she was curable) out of our vacation fund. In the future, I would love to adopt more senior dogs and will make sure they have their own account so that getting joint supplements, ultra-sounds, and important medication is both a headache and a heartache. 3. Transportation: I live uptown in New York City and continued to face health issues with Lacey late at night and weekends when my primary care vet was closed. These were long car rides to our emergency hospital that I did not budget for, particularly when hospitalization became essential for her end-of-life care became essential. Also, when all was said and done, we were too emotionally drained to save money on public transportation, choosing instead the privacy of a car service. 4. Emergency Care Kit: Since Lacey’s illness was off an on — first being diagnosed as osteoarthritis, then pneumonia, and then finally cancer that had spread through her body — we bounced between the emergency hospital and our primary care vet, with multiple veterinarians and technicians helping us along the way. I wish I had kept all records of each visit on hand, along with a blanket, toys, and a list of medications. When we had to take Lacey to the hospital suddenly (and scarily) after a late night seizure, it would have been helpful to her veterinarians to see the proper list of medicine she had been taking over the week, names that I couldn’t pronounce or remember in the heat of the moment. 5. Emotional Preparedness: Though I understood that when you lose a pet, it is a family decision and a family experience, it did not strike me enough to fully understand that my dog’s life would be my responsibility to decide, or what the full weight of emotions would bring when holding her in our arms as she left us. Please, please, please find a friend or family member that can sit with you throughout this waiting period, and in those final moments. I will forever be indebted to my husband who understood when I needed to laugh, cry, talk or take moments to myself. Grief affects us in funny ways, and with the added stress of thousands of dollars leaving your pockets, sometimes laughter and crying become interchangeable. I now know how important it is to have someone beside you who can allow you to feel everything at your own pace and in your own way. 6. Financial Preparedness: I was able to negotiate a payment plan with my credit card that allowed me to pay off the veterinarian fees in segments without negatively affecting my credit score. I’ve also had frank conversations with friends and family that I would be emotionally and financially unavailable for the next few months as I recovered from losing a friend and a good chunk of our savings. Everyone wants the best for you, so make sure to seek out creative ways to pay off your expenses and don’t put the burden on yourself alone. Offer help: So many people offered condolences or to help, and I felt uncomfortable admitting what I wanted or needed — a few friends, unprompted, sent flowers, wine, or home-cooked meals. I was so thankful for those unsolicited gifts, as they were expenses I was worried about and self-care that helped me as I healed. The flowers, in particular, sat near Lacey’s bed and were something else to look at in her absence. For those who couldn’t afford to help in that way, a follow-up text several days or weeks later was so meaningful. Losing a pet is heartbreaking, and for many, it doesn’t seem as significant as losing a human friend — but often you are emotionally dependent, and your entire routine changes. Finding people who understood that I was still sad even though weeks had passed was incredibly helpful to me. Adopt: Finally, we are still in the grieving process, but we know with our whole hearts that as we get ready to welcome a new friend into our lives we will volunteer, foster and adopt — all cost-efficient ways to make a meaningful difference in the life of an animal, and in your own as well. Nicole is a publicist who lives in New York City. She has a passion for personal finance, and is learning to practice what she preaches.